As News Associates graduates continue to land their dream journalism jobs across print, online and broadcast we wanted to share some of their recent successes. Former London part-time trainee Ross Kempsell will be joining talkRadio as political editor this summer. The JournoFest 2018 speaker is currently a chief reporter at Guido Fawkes. Ross said: “My whole journalism career started at News Associates because that’s where I made the contacts to get into the industry. “Without the training and background of News Associates there’s no way I would be where I am. Thrilled to be joining @talkRADIO as Political Editor this summer. We have big plans to drive forward our political coverage… and I’ll be setting my alarm clock even earlier from now on! Rachel Addison secured a job with the Financial Times Group while completing her part-time course with us in London. Rachel said: “My time at News Associates gave me the hands-on experience and skill set to enter the world of journalism with confidence and invaluable knowledge. 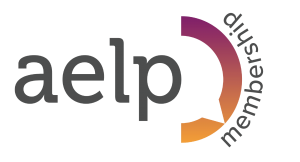 “Without the dedicated support of the tutors, endless reporting practice and shorthand, I would not have survived one day in a real-life newsroom. With the help of contacts made at JournoFest, London fast-track trainee Marguerite Camu and part-time trainee Paloma Prieto De Valle are joining forces at BBC News Intake. Paloma said: “Studying part-time, working and being a non-native English speaker is not the best match if you want to get into journalism. “But everything is made easier when you have a team of great people helping you every step of the way. 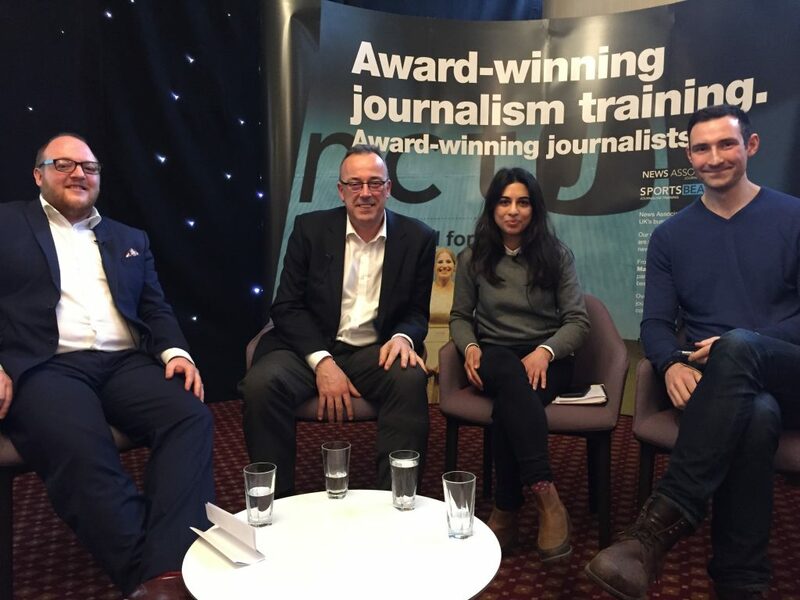 “And this is what I had when I started the part-time NCTJ course at News Associates London. 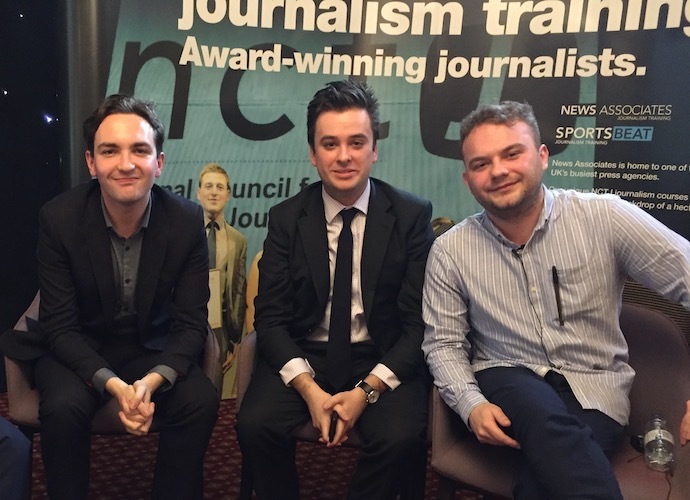 In Manchester, three of our latest fast-track grads are now BBC local democracy reporters. Faye Brown at the Liverpool Echo and Alice Richardson and Kate Oglesby at Newsquest titles in London. 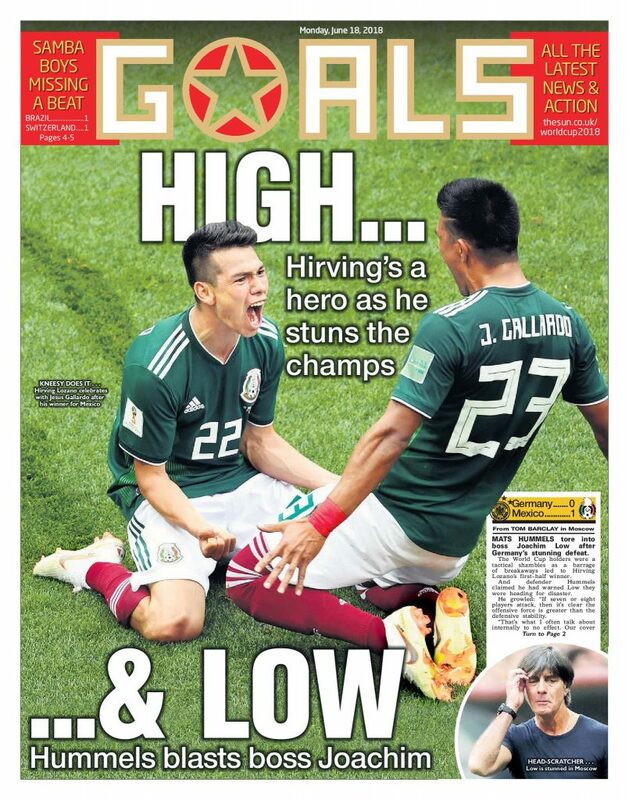 In sport, Manchester alumni Mike Jones and Nathan Jacobs are covering the World Cup for The Independent and Jordan Elgott for BBC Radio 5 Live. Alex Marrow is out in Russia for Sky Sports and Tom Barclay was there for The Sun – both London fast-track grads. Closer to home, both Peter Rutzler and Sophie Watkiss from our last sports journalism intake in London are in SW19 covering the Wimbledon Championships – Peter for the i and Sophie is with the LTA. Meanwhile, Jessica Cripps is writing all things weird and wonderful for Kennedy News and Media. Jessica graduated this January and is now getting her work in national newspapers daily. She said: “Training at News Associates felt like the easiest decision of my life – but definitely turned out to be one of the most significant. “I always felt like I was following in the footsteps of legendary journalists simply by being there. “I know I wouldn’t be where I am today without everything I learned and everyone I met in those classrooms. Our latest intake of apprentices are continuing to impress at The Sunday Times and The Sun. “News Associates was a brilliant place to pick up the essential skills I’ll needed to be successful in the newsroom,” said Shingi Mararike, a reporter at The Sunday Times. In September 2018 News Associates will start to help to deliver the Daily Mail’s training. 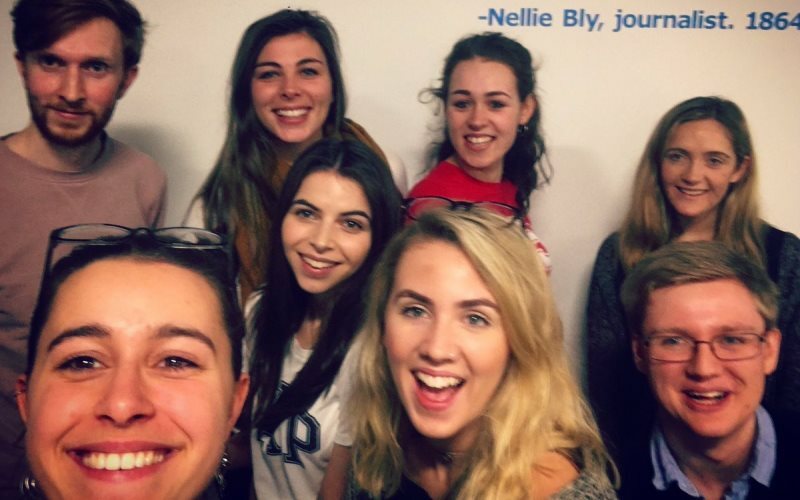 News Associates managing editor James Toney said: “It may be the incredible exam results our trainees continue to achieve making us the number one NCTJ journalism school in the country but it’s the jobs our graduates go into which makes us the most proud. See where else our alumni are working by clicking here. To join us this September or October apply here.